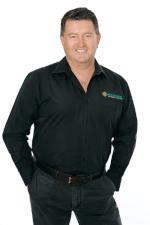 Eastside Property Centre offers both Residential Sales and Property Management services. Working closely with you, we aim to exceed your expectations. We want you to feel confident that you are working with an Agency that has your best interests in mind. If you are buying a property to live in or as an investment, it is important for us that you are making educated decisions to ensure your financial future is certain. We have a passionate enthusiasm for providing an efficient and ethical service and our team are always happy to discuss all your real estate needs. We tailor each property sale to the type of property, requirements of the owner and the current market conditions. Professional photography is a must to present your property at its best online. Floorplans are also very helpful to buyers searching for the right layout and room sizes. Internet marketing in conjunction to working through buyers in our extensive database of buyers and investors always finds the right buyer for the properties for sale.